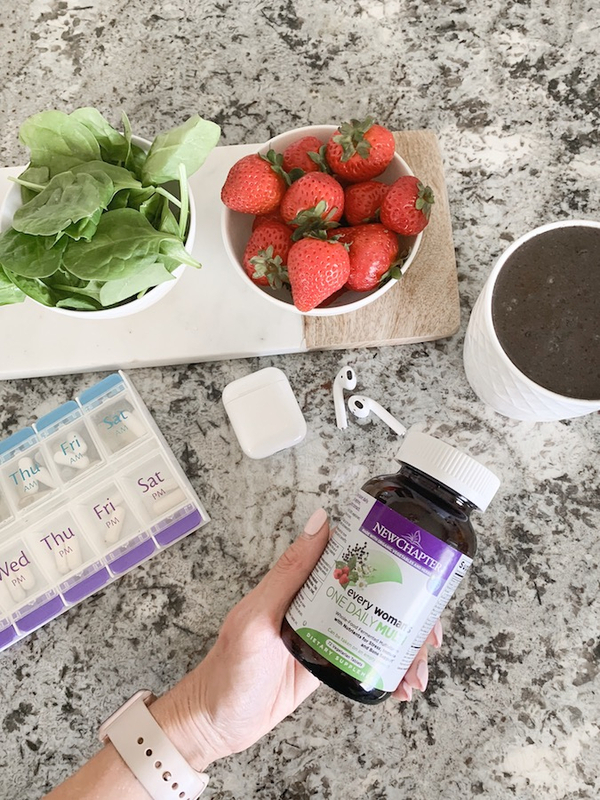 There are so many different multivitamin options, so I’m filling you in on what to look for when choosing a multivitamin, and the things I do daily to help me feel my best. Some days I wake up exhausted and feel like staying in bed. I know that if I’m feeling like that, I know at least one other person is feeling like this too, so I wanted to share with you the tried-and-true daily health-related habits that I know will make me feel better. I force myself to do these things some days, even when I don’t feel like it, because I know that they work. I try to get in 3 large servings of vegetables each day. Less grains, more greens. This helps me fill up on nutrients that will give me energy instead of take more of it. I exercise 6 days each week, then rest on Sundays. There are a few days each week that it’s more difficult to get to the gym because of Tyler and my schedule, so on those days I try to take a walk or run around the park the with my twins and get in some type of physical activity. Get enough sleep! This one is SO HARD to do, because when Harris and Goldie are in bed, it’s so nice to have some “me-time.” I literally have to force myself to go to bed and try to get 8 hours of sleep because I’m a much better person all around if I do. I feel better and I’m able to accomplish more if I get enough sleep. 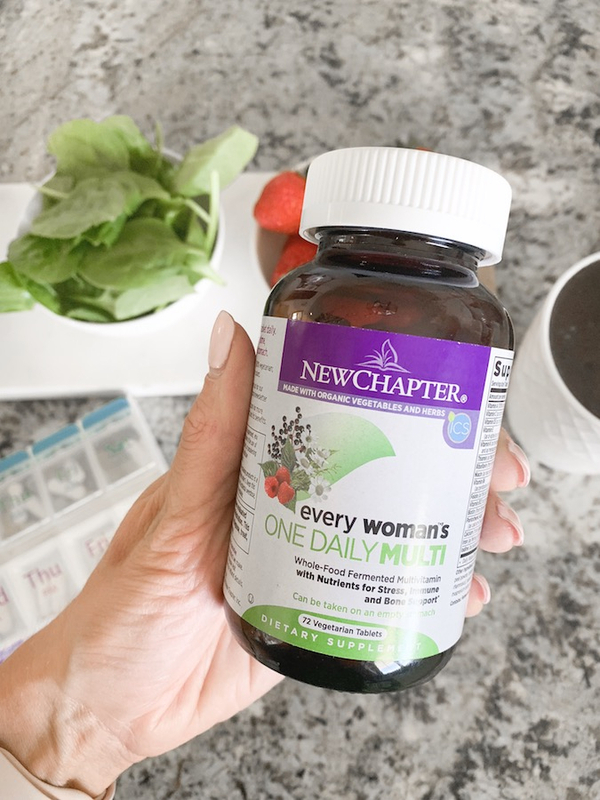 I take a New Chapter Every Woman One Daily Vitamin every day. You can see my full vitamin and supplement routine here. It has been a GAME CHANGER. 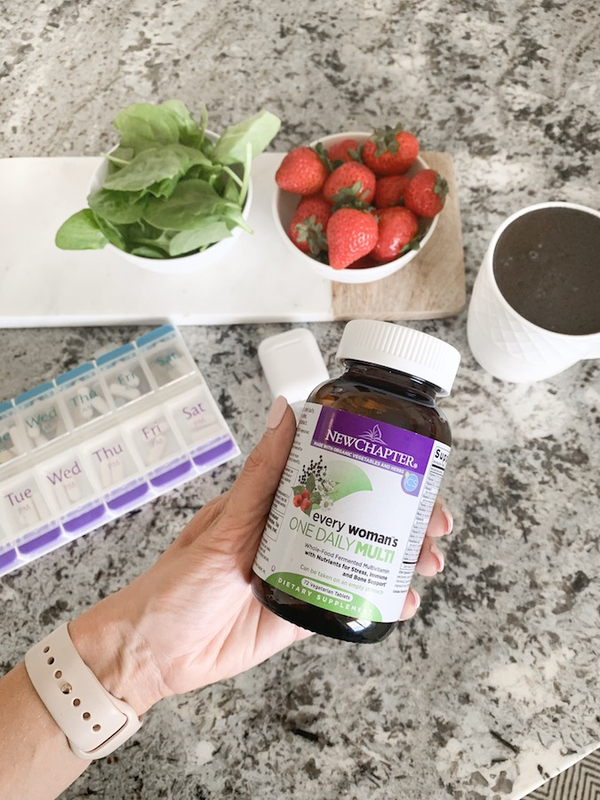 There are SO many vitamin companies out there, so I wanted to share with you what you should look for when you are choosing what vitamins to take. You want to choose vitamins that are made with whole foods so that your body can absorb them. Have you ever had a stomach ache after taking your vitamins? That’s because your body doesn’t know what do with them. New Chapter multivitamin is fermented with whole foods, making them so gentle that they can be taken on an empty stomach. I also like looking for a vitamin that has only 1 pill per serving. If you look on the back of a lot of bottles, you will have to take up to 4 vitamins or more to get 1 serving. The less pills I have to swallow, the more likely I am to love my life more. 😉 It’s a scientific fact. But seriously, it’s nice to not have to swallow a bunch of pills to get my daily serving of the vitamins that I need. Acknowledged science. Everything they do is based on the power of combining different herbs, and whole foods to make them more powerful than they are on their own. Every product is a “New Chapter” – they only bring products that are new chapters in health and revolutionary in the category. I love that this is what their name means. New Chapter multivitamin sources the best ingredients from where they grow best with the highest quality. New Chapter multivitamin creates products for themselves, their families, and their friends. Don’t we all want the best for ourselves and our people? 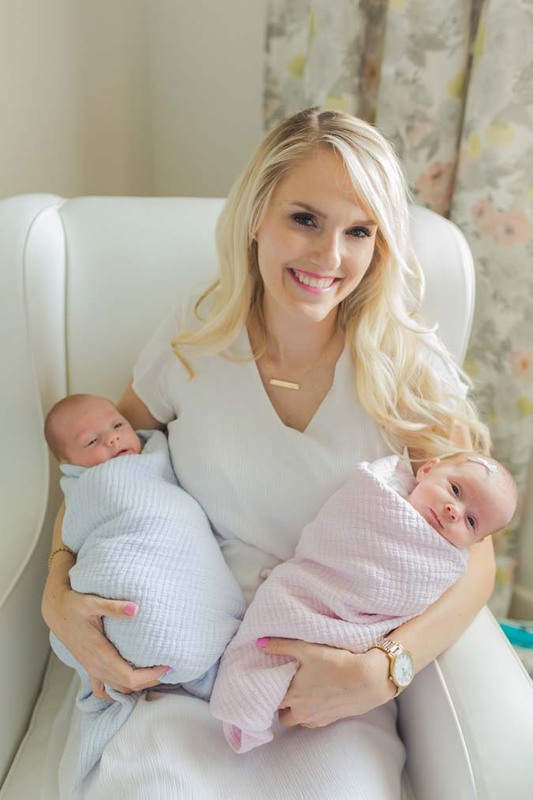 I love that they have this as one of their principles because when you’re creating for your children, your spouses and your friends, you put more love and effort into the products you make. I hope this post helps you as much as these habits help me! I know that if I do these actions every day, I’ll feel better. Even though it’s hard sometimes and I want to choose the easier option, like staying up too late or not going to the gym, I know for a fact that they help my overall mental and physical wellness. It’s really comforting to me to have a routine that makes me feel so good. This post is sponsored by New Chapter and Amazon, brands that I love and trust!